The nice smile, the friendly (but not overzealous) demeanor, the smooth way they manage to address some seriously chowderheaded tech fails without being condescending — if you thought all that came naturally to Apple geniuses, then you've clearly never seen the Genius Training Student Workbook. Gizmodo's Sam Biddle has and, says the blogger, it's like a quick study on human behavior. The guidelines instruct geniuses-in-training on how they should interact with the public. Not that it's unusual for a company to dictate etiquette or teach behavior techniques to sales forces — because, yes, geniuses are also sales people in addition to tech support — but there's something bracing about seeing the manipulation and psychological tactics spelled out so plainly. 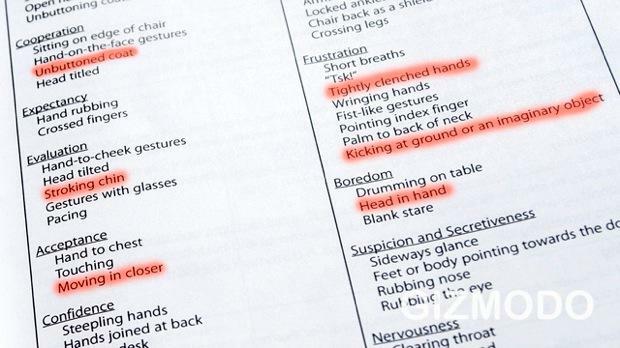 The manual even includes body language cues and role-paying scenarios, so trainees can identify customers' feelings and know how to control those situations. Geniuses should "educate gracefully," "take ownership empathetically," and "recommend persuasively." In other words, a genius is expected to create an empowering experience for the customer (even if he or she did try to force a USB stick into a 30-pin dock connector. Doh!). The 5-prong sales strategy is easy to remember: A-P-P-L-E, or Approach, Probe, Present, Listen, End. Geniuses need to (1) approach customers, (2) probe them about why they're in the store today, (3) present buying/servicing options, (4) listen to their answers, and (5) in the end, influence them to make a purchase. The trick is to make them believe it was their idea. When customers have concerns, it warrants the "Three Fs: Feel, Felt, and Found" technique. Example: "Customer: This iPad's too expensive. Genius: I can understand how you'd feel that way. I felt it was a little pricey too, but I found that there's actually real value there, thanks to all the built-in software and features." There are even some finer points, including the banishment of certain words or phrases. For instance, a genius will never say your system has crashed or frozen. No of course not, Apple products never do that. They merely "stop responding." Of course, not all of them live and breath these words. There are infamous cases of Apple staffers behaving badly. But this does go to show how the company expects employees to drink deeply from the Kool-Aid well right from the get-go. So if you ever have to hit that Genius Bar, here's a parting tip: If you're hoping to receive a new model as a swap for that old product (that you know you waterboarded for fun), definitely don't put your hands on your hips, glance over sideways or rub your nose. These are tells for aggressiveness and suspicion or secretiveness, and the staffers will know you're trying to get away with something. Do you, or does anyone you know, work at an Apple store? Are you a patron who recognizes this behavior? Share your story below in the comments.